There are two sides to every story, but if you have been arrested for domestic violence, you can’t tell your side of the story on your own. You need a criminal defense lawyer to do it for you. If you are accused of domestic violence, you need protection from the harsh punishments pursued by the Los Angeles County District Attorney. Make no mistake, even for minor domestic violence cases, the punishments can be severe. You can be arrested and charged with domestic violence even if you were acting in self-defense or even if you did nothing wrong. Police and prosecutors aggressively file domestic violence cases, even when there is no evidence that an act of domestic violence occurred. All the police need to make an arrest is the statement of the alleged “victim.” The victim does not need to have any visible injuries. Why? Because nobody wants to take the risk of not arresting someone or not filing charges in case there is a legitimate domestic violence situation in a relationship. The police know that if they make an arrest and refer a case to a prosecutor, then they are off the hook. Prosecutors then file case for the same reason. This is why it is so important to have an experienced domestic violence defense lawyer to defend your case. The entire system is set up to convict you of domestic violence. You need someone who knows how to fight the charges. A Domestic violence “victim” cannot drop the charges. After you are arrested, the victim no longer controls whether or not the prosecutor files the case. It is the policy of prosecutors throughout California to pursue domestic violence cases whether the victim wants to or not. Do not violate the protective order. If you have been served with a court order forbidding you to contact the victim of domestic violence, you must obey it and not contact the victim. This means no phone calls, text messages, Facebook posts, NOTHING. Do not have friends or family contact her on your behalf. You must have no contact. The only people who can contact the alleged victim is your attorney or your attorney’s investigator. 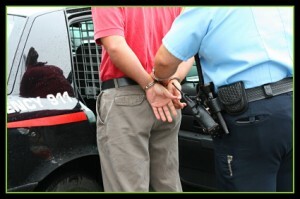 If you violate the protective order, you are subject to additional criminal charges. If there is a reason you need to contact the victim, as your attorneys, we can assist you with that. Attending 52 Domestic Violence classes (one class per week for an entire year). A ten year-prohibitions against owning a firearm (and a possible lifetime ban under federal law). Paying for the victim’s medical expenses, counseling or other expenses directly resulting from the offense. Who is the alleged victim in a domestic violence case? A spouse or former spouse or domestic partner or former domestic partner. The child of the defendant, whether it be natural parent, adopted, step-child, legal guardian or foster child. Anybody related to the defendant in the second degree (example: in-laws). DOMESTIC BATTERY. California Penal Code 243(e) – This is a misdemeanor charge. The prosecution needs to prove that you engaged in a willful and unlawful touching of the victim, and that the touching was harmful or offensive. The victim does not need to be injured for someone to be convicted of this charge. This charge carries a fine of not more than $2,000 or a maximum of one year in the county jail. If convicted, the defendant will also be required to participate in a weekly batter’s treatment program (commonly known as “domestic violence class”). In Los Angeles County, there is also a mandatory $400 payment to a domestic violence victim’s fund. DOMESTIC VIOLENCE WITH INJURY. California Penal Code 273.5 – Felony or Misdemeanor battery causing a “traumatic condition.” As a misdemeanor, the maximum punishment is one year in the county jail and a maximum fine of $6,000, plus a weekly domestic violence class for one year and a maximum fine of up to $6,000. So what is a traumatic condition? A traumatic condition is an external or internal wound. This means everything from minor scratches, bruises and cuts to bite marks to broken bones. The more serious the injury, the more likely you will be charged with a felony. If you are guilty of a felony, and upon conviction thereof shall be punished by imprisonment in the state prison for two, three, or four years, or in a county jail for not more than one year, or by a fine of up to six thousand dollars ($6,000) or by both that fine and imprisonment. If you are convicted of more than one domestic violence offense in a 7 year period, the punishment for subsequent convictions increase substantially. STALKING AND CYBERSTALKING (California Penal Code 646.9). Stalking charges are filed when the prosecutors believe that someone “willfully, maliciously, and repeatedly” followed or harassed another person AND made a “credible threat with the intent to place that person in reasonable fear for his or her safety, or the safety of his or her immediate family.” This can be charged as either a felony or a misdemeanor. Click here to read more about stalking and cyberstalking defense. CRIMINAL THREATS (California Penal Code 422). This can be charged as a felony or misdemeanor and can also be a strike under California’s three strikes law. A person can be charged and convicted of making a criminal threat when someone communicates a threat to “commit a crime which will result in death or great bodily injury to another person, with the specific intent that the statement, made verbally, in writing, or by means of an electronic communication device, is to be taken as a threat.” Even if someone does not intend to actually carry out the threat, a charge can be brought if the prosecution believes if the threat is “so unequivocal, unconditional, immediate, and specific” and there is “an immediate prospect of execution of the threat” and the threat causes the other person “to be in sustained fear for his or her own safety or for his or her immediate family’s safety.” Click here to read more about criminal threats defense. There are solutions to your domestic violence charge. Call 310-210-0744 to speak with domestic violence attorney, Jerod Gunsberg.